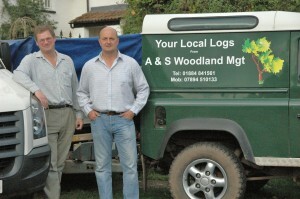 We are local Devon log suppliers based near Honiton. 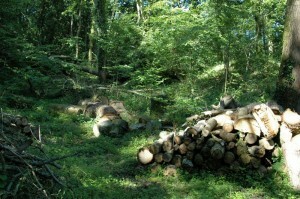 We supply seasoned firewood logs from our timber yard at Dunkeswell, Devon. Our firewood is either sustainably felled from our own woodland in the Blackdown Hills, or felled from local forests or woodlands within the Devon, Somerset & Dorset borders. We supply seasoned hardwood and softwood, and kiln dried logs suitable for use in wood burners, open fires and wood boilers. We have a large customer base within Honiton, delivering to both trade and domestic addresses. We are delighted to supply logs www.therailwayhoniton.co.uk which in turn supports many businesses within Devon. During the summer months you can come and visit us at Mackarness Hall Honiton, a sustainable market held by the people of Honiton for Honiton www.transitiontownhoniton.org.uk We will be here to promote our business, selling local firewood to the local communities, our belief that sustainability is key, that fuels can only be carbon neutral if strict principles are applied.